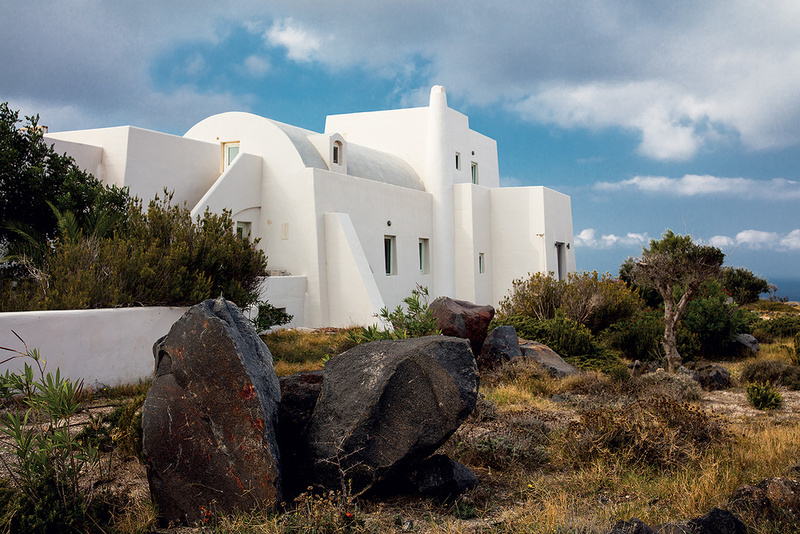 Black Rock is built to a design by Roger D’Arcy of Recording Architecture. In the ’70s and ’80s, it was not unusual for a band to retreat to a recording studio for half a year or more to produce an album. 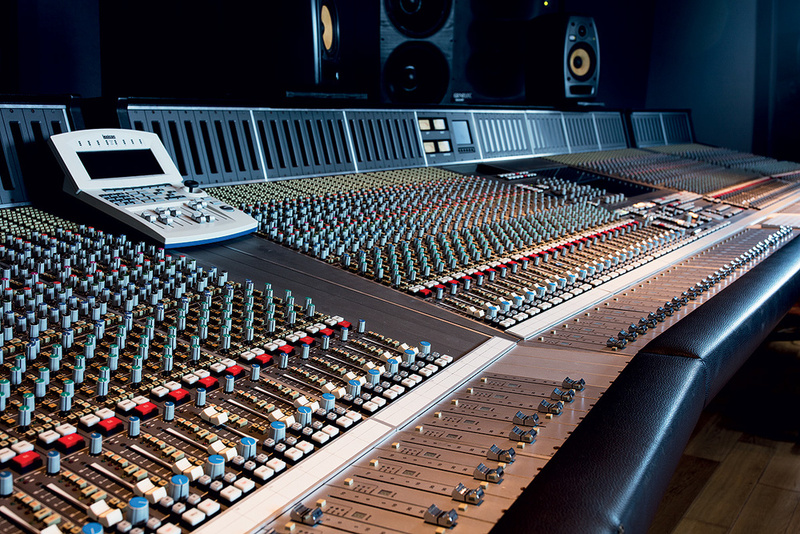 Nowadays, a large project might start in the artist’s own space, with a larger studio rented only for a limited timeframe to lay down the basic tracks before the project returns to smaller venues for post-production and mixing. 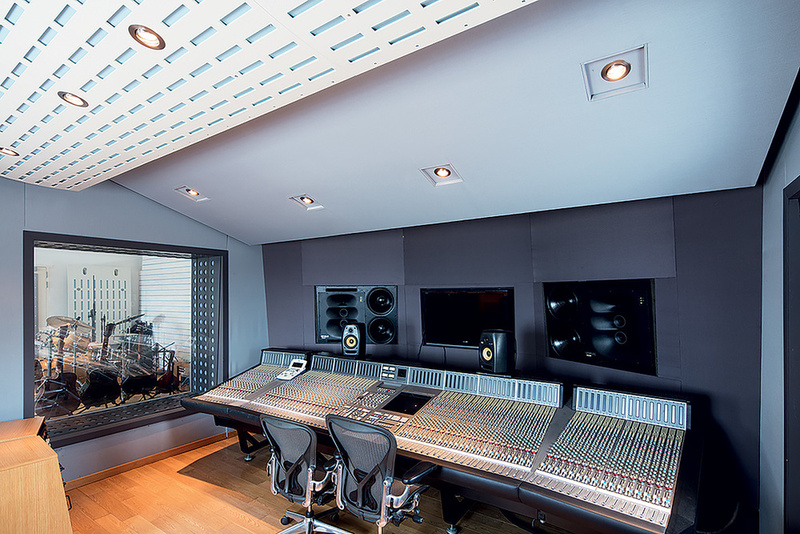 However, there is still a demand for residential studios where artists can get away from distractions, and the last few years have seen the rise of an even more specialised business: the destination studio. Few studios can rival the location that Black Rock offers.One particularly pretty example is Black Rock Studio. The Greek island of Santorini, at the Southern end of the Cyclades archipelago, is one of the most picturesque in the entire Mediterranean, formed from the half-moon-shaped remains of a volcano which collapsed over 3500 years ago after a gigantic eruption. Most towns in Santorini cling to the top of the steep cliff, sometimes several hundred metres above sea level, and so does Black Rock. One could not imagine more scenic views than those across the caldera! The main live area is complemented by two smaller booths with excellent sightlines throughout.Black Rock, aptly named after the volcanic materials it is built upon, was conceived by producer/engineer Kostas Kalimeris in an effort, as he puts it, to put Greece “on the map of the international recording industry“. A key figure in the Greek recording industry, the formally trained engineer worked as the head of A&R and in-house producer for Universal Greece for many years, built his own studio in Athens in 2000, and became the Greek representative of Sterling Sound in 2004. When Black Rock opened in June 2009, it was the culmination of many years’ planning, though the actual construction period took only about half a year: the six-bedroom villa that was converted had originally been built with a studio in mind, and the builders stayed on site until the project, overseen by Roger D’Arcy of Recording Architecture, was completed. The control room is based around an SSL 9000 J-Series console.Occupying a 6700-square-metre property, close to the southern tip of the island and to landmark sites such as the famous lighthouse, the villa is also home to five client bedrooms plus large indoor and outdoor recreational areas, including several sun decks and a swimming pool — in short, all the amenities one would expect from a high-class holiday home. 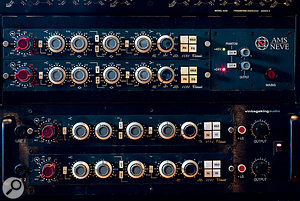 The studio itself is not a multi-room music factory with several control rooms; the whole point is to allow artists to focus on the music in a beautiful, serene surrounding, secluded from distractions such as other bands working next door. 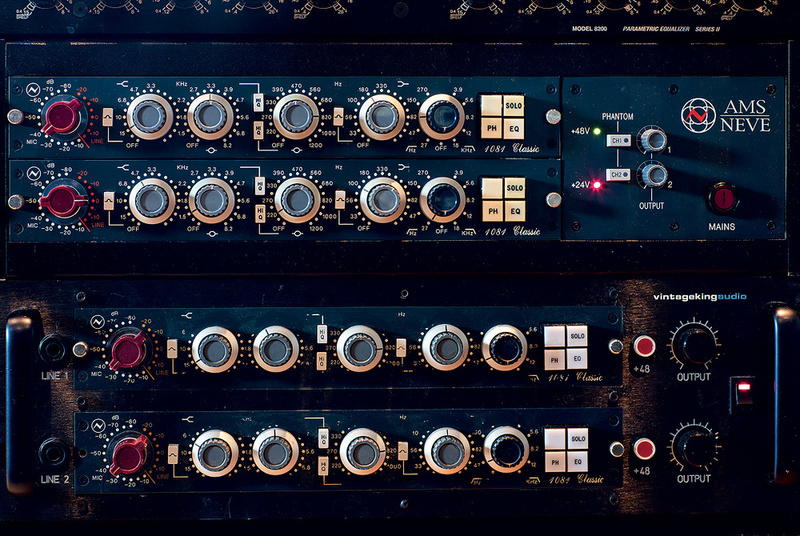 Black Rock is about a comfortable creative environment for the artist, and the building reflects this objective, from the outer walls to the gear collection in the outboard racks. 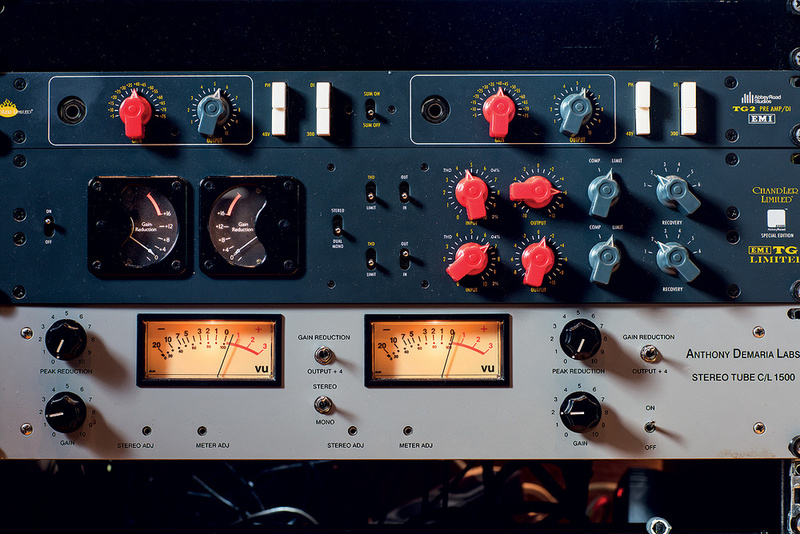 The SSL preamps and EQs are complemented by these vintage Neve units.Based on traditional Cycladic architectural principles, the building features slanted walls and arched roofs, all painted white, to withstand the winds from the sea and the scorching sunlight. The studio rooms have been designed to incorporate plenty of natural light and great visibility between the different spaces. 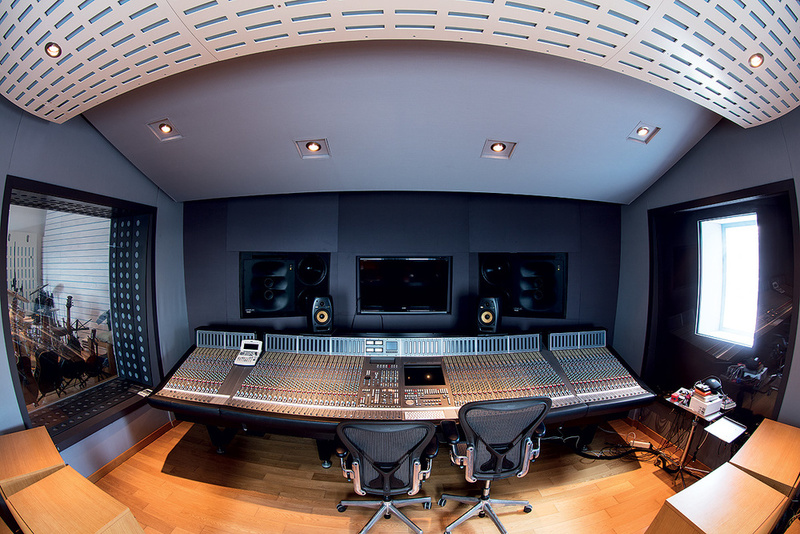 The 40-square-metre control room houses an SSL 9080 J-Series console with Ultimation and Total Recall, and gorgeous Genelec 1035B main monitors, accompanied by Genelec 8050, KRK VXT6 and Yamaha NS‑10 nearfields. 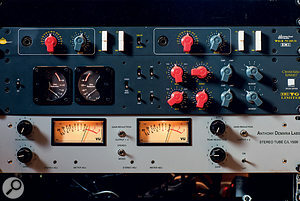 Further tasty outboard goodies include Chandler TG preamps and compressor, and an ADL stereo compressor.The outboard collection includes dynamics processors such as a Chandler TG1, Anthony DeMaria Labs CL1500, a pair of Empirical Labs EL8 Distressors, a Focusrite Red 3 and a Manley ELOP, while the SSL EQs are complemented by a GML 8200 and four Neve 1081 channels. 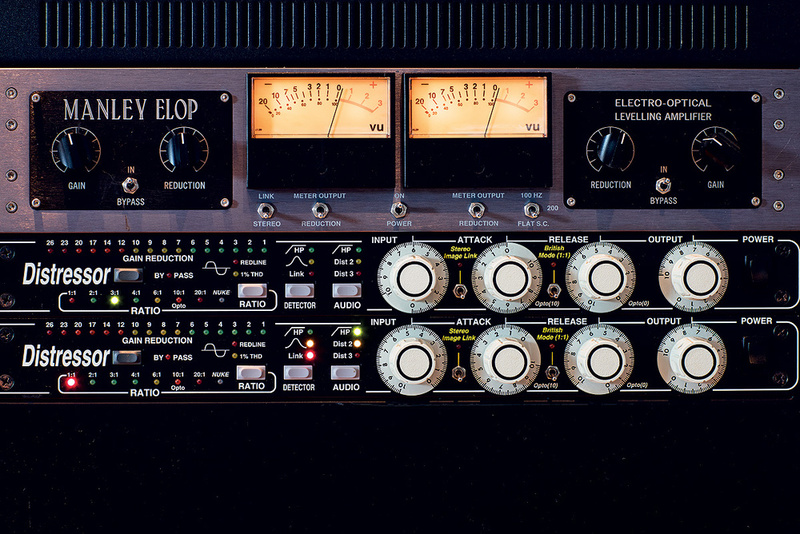 In addition, Black Rock is home to a Lexicon 960L surround reverb and an Eventide H8000. Next to the control room is the main live area, 25 metres square and boasting a six-metre-high arched ceiling and an abundance of light flowing in from the sea. 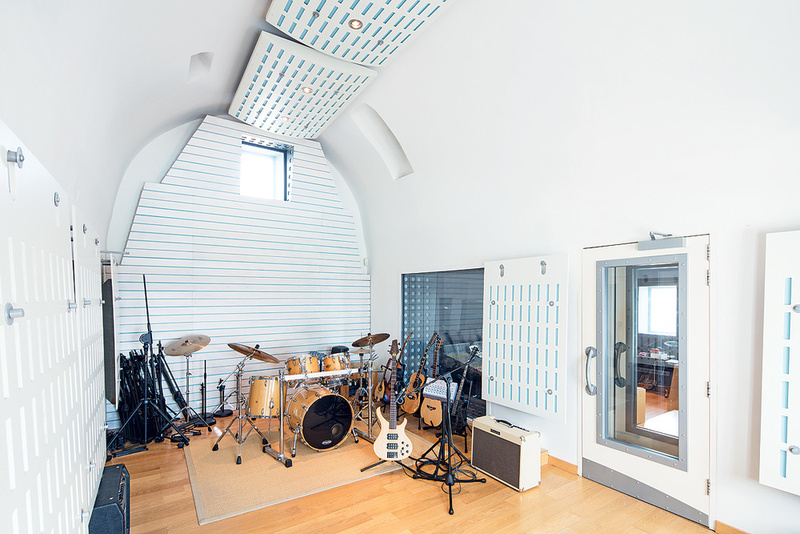 There also is a 15-square-metre drum booth and another, smaller isolation booth for tracking vocals or guitar amps. The main live area is 25 metres square and boasts a six-metre-high arched ceiling. With its friendly atmosphere, the studio not only accommodates complex recording tasks while maintaining a cosy vibe, but also invites creativity, encouraging clients to write and develop their music as it was done in the old days. 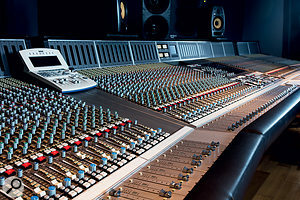 Many clients thus book the studio for extended periods of one or even two months, not only to record their music, but to compose it in the first place. 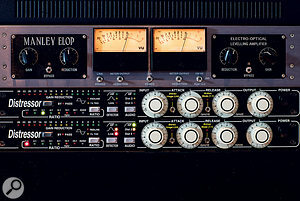 Dynamics options include the Manley ELOP and a pair of Empirical Labs Distressors.The studio’s maiden session, in 2009, saw Joe Bonamassa and Kevin Shirley set up shop to write and record the 2010 album Black Rock. Honouring their experience at the recording venue, it has been followed by numerous domestic and international projects, with overseas clients including Bring Me The Horizon, Justin Bieber, One Republic, Peer Astrom and Steve Harris.